My family had a cottage and a main summer activity was playing cards – gin rummy, euchre, canasta, crazy eights, etc. Bridge didn’t enter the picture until the mid-sixties while I was at University. It’s interesting to me as I look back that it was very much a standard social thing to do back then. Three co-workers and I would get together on weekends and even during the week for an evening of bridge. There was no shortage of people to play. Playing duplicate came later in Oshawa in the seventies with encouragement from a co-worker. Several of us would play on Thursday night and then retire to the local pub to discuss it all. It’s thanks to Arlene Lundgren that I got a chance to try teaching bridge. She needed a replacement at Masonville for a couple of weeks while she was away. She also passed my name on to someone from the Riverbend Golf Community in west London. They were interested in having some lessons offered as part of their activities and lessons for their residents. Most of my teaching is at the beginner and intermediate level. I've been teaching about eight years and in addition to Riverbend, I’ve taught at the London Club, the Hunt Club, Bridge Fokes, and now of course, the London Bridge Centre. I've met so many fabulous people through teaching bridge and it is very rewarding to see many of them become engaged by the game. I’m originally from Toronto and moved to London 35 years ago to take a job teaching in the Library Technician Program at Fanshawe College. When I'm not teaching or playing bridge, I enjoy travelling, reading, listening to classical music and watching baseball and tennis. I was raised in the far north, with no TV reception, long winters, and a mother who kept me busy with all kinds of card games. We were a card playing family! I learned the basics of bridge while doing my post secondary education. I played a fair bit while in school, but once I was married with children, I dabbled at the game. Once my children were a little more independent I played a lot of social bridge. My husband was transferred every 3 years, so we moved around Canada a lot. Bridge was my way of meeting new friends. Many years later, a friend suggested duplicate bridge. I fell....hook, line and sinker. It is a game I love to play. A year and a half ago, I received my ACBL teaching credentials. I was a teacher in my "other" life, and being able to teach others bridge is as important to me as playing the game. I joined the London Bridge Centre at its inception. Through the club I have met many people who have become great friends with which I have enjoyed many good times. I am grateful to be part of this group. Bridge has been wonderful to me. I have made many, many friends through the game both locally and globally, via the internet. Teaching allows me to introduce the world of bridge to others. I started with substitute teaching at the Grand River Bridge Club and about five years ago I began regular course instruction. My focus has been teaching beginners and those who are familiar with the game through social bridge and would like to try duplicate. It's a great feeling to see students making social connections through bridge and if a player comes out to a club game then I know I've been successful. I have two daughters, three grandsons, two dogs and a husband who I met playing bridge. I am a retired administrator from the University of Waterloo and also a CPA. My first exposure to bridge was through my parents and also my uncle, who was an avid player of kitchen bridge. Wanting to improve, I studied Charles Goren's Contract Bridge Complete. During my first year of university, bridge was the only class at which I excelled. Fortunately, I refocused my attention to get my first degree -- and not in bridge! In the 1980s, I moved to Toronto and started to play duplicate bridge at Audrey Grant's club and later at Kate Buckman's studio, which is where I met and played with Barbra Seagram and Alex Kornel. I believe that when someone has developed a certain ability in the game, one should give back a little something for the development of the game. My first experience teaching bridge was when I was studying at the Banff Centre School of Fine Arts in 1986, where there was a local bridge scene that needed a teacher. Currently, I teach intermediate and advanced classes. I get tremendous satisfaction from seeing students get a great result when they apply what I have taught them. Bridge is a significant part of my life but I am also a musician, actor and software developer by profession and passion. I started playing bridge when I was in my teens but, after moving to London, I realized how little I knew about the game. My first duplicate game I bid 5D claiming 100 for honors rather than 4H - both of which made. My partner and I came first that night and I have been hooked ever since. I started taking lessons from Richard Fokes and that was the beginning. It was Richard Fokes who convinced me I should start teaching. I took the ACBL Teacher's Course in Kingston and a few months later, I started teaching beginners. After six or seven years, I moved up a notch and started working with the intermediate player and have been doing that ever since. Over the years, I have been privileged to work with hundreds of people both at the bridge clubs and at home. I have thoroughly enjoyed this experience, not only watching their scores improve bit by bit, but also having the opportunity to get to know quite a few people on a personal basis. My husband Ron and I had two children, Kevin and Karen. Kevin passed away 14 years ago, Ron passed away in January 2015 and Karen is very happily married and living in Toronto. As I approach my retirement, I really don't know how I could have coped, especially after Kevin died, without playing, teaching and helping others enjoy the game as much as I have. 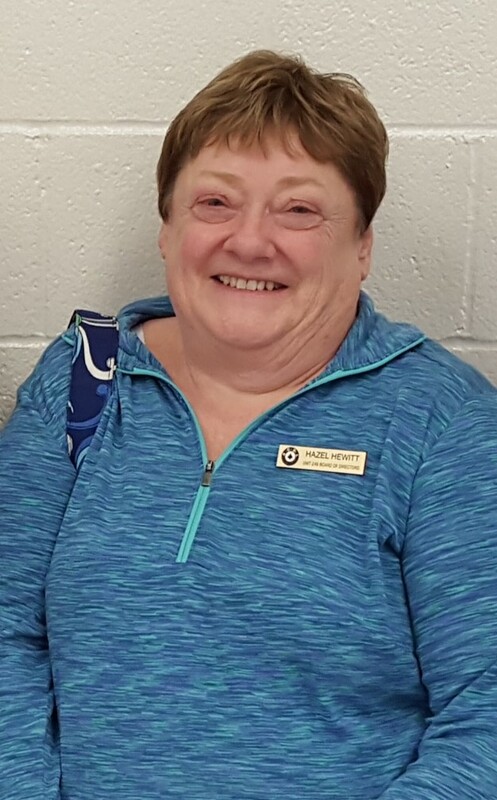 Paul received his ACBL teaching accreditation from Audrey Grant 15 years ago with the main purpose to teach and promote bridge during the winter months at Seven Lakes, an over 55 community of 1150 units in Ft. Myers Florida. He has taken two additional workshops with Ms Grant in the last three years. Paul and his wife Judy were fortunate to have the opportunity to teach and direct on cruise ships and over the last five years have over 200 days at sea including a 65 day cruise around South America and Antartica and a 33 day cruise of the South Pacific. Both Paul and Judy are Bronze Life Masters. Any teaching that Paul does at the London Bridge Centre is for the sole purpose of supporting the club and its future success. One day in the 1970s a huge blizzard struck London, crippling the city for several days and burying thousands of stranded cars in deep snow drifts on city streets. After losing heat in my house I cross-country skied down the center of a deserted snow-covered Ridout street and across the Dundas St bridge to a friend’s house. It was while staying there for several days during the storm that I was introduced to bridge. And thus began my lifelong love of the game! For decades I played bridge at every opportunity, went to tournaments, read bridge books, became a director and got involved in the Unit and District Bridge governing bodies, acting as chair of the London Regional for twenty-five years. After retiring from a career teaching mathematics and computers, I was eager to begin the next phase of my life… avoiding winter weather, teaching bridge and traveling. My husband Barry and I took courses to become bridge teachers and began to teach on cruise ships, most frequently for Audrey Grant. Being able to introduce new players to the game of bridge and to foster in them an enjoyment of the game has been my source of enjoyment for several decades, and has been both rewarding and enriching for me in my retirement. I look forward to meeting new bridge friends at the table and during my bridge classes! Growing up in rural Ontario, I played a lot of card games at home with my father and grandfather. There was always a deck of cards on the table ready for euchre, gin rummy, crazy 8s and the like. I first saw the game of bridge being played when I went to Western. Occasionally, when someone had to head off to class, I was even recruited to be Dummy! During breaks from my role as a high school teacher and guidance counsellor, I joined my colleagues in the staff room for some bridge. I did find this a slow way to learn the game, as I never had lessons to help me with my bidding and play. Trial and error was a hard way to learn bridge. After I retired, I joined the Bridge Club in Stratford and soon discovered that the Seniors Centre wanted to offer bridge lessons to help encourage more players to take up the game. So, I took the Audrey Grant Course, from Audrey herself, in Kingston and began teaching beginners to play. I still quite enjoy teaching adult beginners and advanced beginners. It’s fun to take someone who has never held a deck of cards and turn them into a passionate player in a relatively short period of time. I continue to play bridge often, mostly in London and Kitchener and sometimes in Tillsonburg, Stratford, Parkhill and St. Marys. I enjoy live theatre, reading, and being retired. I also volunteer at the Stratford Festival as a tour guide and as a driver for EZ Ride in St. Marys. I have been playing bridge and teaching most of my adult life. When my wife, Mary, and I retired in 2003 we decided to combine our love of bridge, teaching and travel by working as bridge instructors on cruise ships for five or six weeks a year. Now I am looking forward to sharing, with new and old friends, some of the bridge concepts and skills I have learned over the years. If you do decide to take any of my classes you will quickly learn that I do not believe in rules, only guidelines, and guidelines should always make sense. Also, there are seldom, if ever, poor questions asked by students, but sometimes there are ineffective responses from the teacher. So, never be hesitant to ask for a better explanation when you don’t understand what I am attempting to teach. Bridge is far more enjoyable when it makes sense. My goal is to make your bridge more satisfying by helping you develop a better understanding of the game. I started playing bridge when I was in my teens but, after moving to London, I realized how little I knew about the game. My first duplicate game I bid 5D claiming 100 for honors rather than 4H - both of which made. My partner and I came first that night and I have been hooked ever since. I started taking lessons from Richard Fokes and that was the beginning. It was Richard Fokes who convinced me I should start teaching. I took the ACBL Teacher's Course in Kingston and a few months later, I started teaching beginners. After six or seven years, I moved up a notch and started working with the intermediate player and have been doing that ever since. Over the years, I have been privileged to work with hundreds of people both at the bridge clubs and at home. I have thoroughly enjoyed this experience, not only watching their scores improve bit by bit, but also having the opportunity to get to know quite a few people on a personal basis. My husband Ron and I had two children, Kevin and Karen. Kevin passed away 14 years ago, Ron passed away in January 2015 and Karen is very happily married and living in Toronto. As I approach my retirement, I really don't know how I could have coped, especially after Kevin died, without playing, teaching and helping others enjoy the game as much as I have. Growing up in rural Ontario, I played a lot of card games at home with my father and grandfather. There was always a deck of cards on the table ready for euchre, gin rummy, crazy 8s and the like. I first saw the game of bridge being played when I went to Western. Occasionally, when someone had to head off to class, I was even recruited to be Dummy! During breaks from my role as a high school teacher and guidance counsellor, I joined my colleagues in the staff room for some bridge. I did find this a slow way to learn the game, as I never had lessons to help me with my bidding and play. Trial and error was a hard way to learn bridge. After I retired, I joined the Bridge Club in Stratford and soon discovered that the Seniors Centre wanted to offer bridge lessons to help encourage more players to take up the game. So, I took the Audrey Grant Course, from Audrey herself, in Kingston and began teaching beginners to play. I still quite enjoy teaching adult beginners and advanced beginners. It’s fun to take someone who has never held a deck of cards and turn them into a passionate player in a relatively short period of time. I continue to play bridge often, mostly in London and Kitchener and sometimes in Tillsonburg, Stratford, Parkhill and St. Marys. I enjoy live theatre, reading, and being retired. 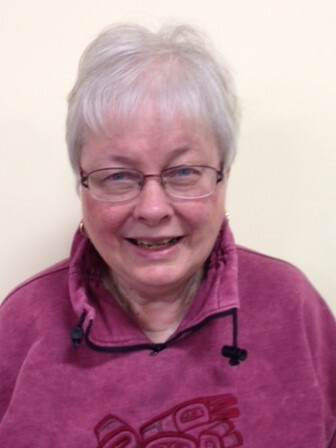 I also volunteer at the Stratford Festival as a tour guide and as a driver for EZ Ride in St. Marys. My first exposure to bridge was through my parents and also my uncle, who was an avid player of kitchen bridge. Wanting to improve, I studied Charles Goren's Contract Bridge Complete. During my first year of university, bridge was the only class at which I excelled. Fortunately, I refocused my attention to get my first degree -- and not in bridge! In the 1980s, I moved to Toronto and started to play duplicate bridge at Audrey Grant's club and later at Kate Buckman's studio, which is where I met and played with Barbra Seagram and Alex Kornel. I believe that when someone has developed a certain ability in the game, one should give back a little something for the development of the game. My first experience teaching bridge was when I was studying at the Banff Centre School of Fine Arts in 1986, where there was a local bridge scene that needed a teacher. Currently, I teach intermediate and advanced classes. I get tremendous satisfaction from seeing students get a great result when they apply what I have taught them. Bridge is a significant part of my life but I am also a musician, actor and software developer by profession and passion. My family had a cottage and a main summer activity was playing cards – gin rummy, euchre, canasta, crazy eights, etc. Bridge didn’t enter the picture until the mid-sixties while I was at University. It’s interesting to me as I look back that it was very much a standard social thing to do back then. Three co-workers and I would get together on weekends and even during the week for an evening of bridge. There was no shortage of people to play. Playing duplicate came later in Oshawa in the seventies with encouragement from a co-worker. Several of us would play on Thursday night and then retire to the local pub to discuss it all. It’s thanks to Arlene Lundgren that I got a chance to try teaching bridge. She needed a replacement at Masonville for a couple of weeks while she was away. She also passed my name on to someone from the Riverbend Golf Community in west London. They were interested in having some lessons offered as part of their activities and lessons for their residents. Most of my teaching is at the beginner and intermediate level. 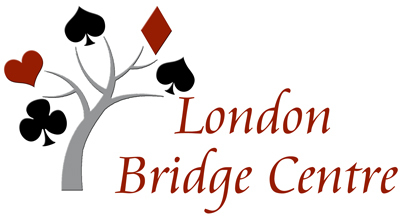 I've been teaching about eight years and in addition to Riverbend, I’ve taught at the London Club, the Hunt Club, Bridge Fokes, and now of course, the London Bridge Centre. I've met so many fabulous people through teaching bridge and it is very rewarding to see many of them become engaged by the game. I’m originally from Toronto and moved to London 35 years ago to take a job teaching in the Library Technician Program at Fanshawe College. When I'm not teaching or playing bridge, I enjoy travelling, reading, listening to classical music and watching baseball and tennis. When I left home to attend school, I discovered that everyone played bridge. I begged my friends to teach me and after about five minutes of instruction I was playing my first game. I had no idea I would be busy learning this game ever since. Bridge has been wonderful to me. I have made many, many friends through the game both locally and globally, via the internet. Teaching allows me to introduce the world of bridge to others. I started with substitute teaching at the Grand River Bridge Club and about five years ago I began regular course instruction. My focus has been teaching beginners and those who are familiar with the game through social bridge and would like to try duplicate. It's a great feeling to see students making social connections through bridge and if a player comes out to a club game then I know I've been successful. I have two daughters, three grandsons, two dogs and a husband who I met playing bridge. I am a retired administrator from the University of Waterloo and also a CPA. I have been playing bridge and teaching most of my adult life. 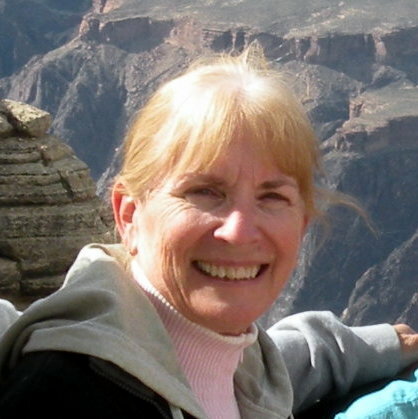 When my wife, Mary, and I retired in 2003 we decided to combine our love of bridge, teaching and travel by working as bridge instructors on cruise ships for five or six weeks a year. Now I am looking forward to sharing, with new and old friends, some of the bridge concepts and skills I have learned over the years. If you do decide to take any of my classes you will quickly learn that I do not believe in rules, only guidelines, and guidelines should always make sense. Also, there are seldom, if ever, poor questions asked by students, but sometimes there are ineffective responses from the teacher. So, never be hesitant to ask for a better explanation when you don’t understand what I am attempting to teach. Bridge is far more enjoyable when it makes sense. My goal is to make your bridge more satisfying by helping you develop a better understanding of the game. One day in the 1970s a huge blizzard struck London, crippling the city for several days and burying thousands of stranded cars in deep snow drifts on city streets. After losing heat in my house I cross-country skied down the center of a deserted snow-covered Ridout street and across the Dundas St bridge to a friend’s house. It was while staying there for several days during the storm that I was introduced to bridge. And thus began my lifelong love of the game! For decades I played bridge at every opportunity, went to tournaments, read bridge books, became a director and got involved in the Unit and District Bridge governing bodies, acting as chair of the London Regional for twenty-five years. After retiring from a career teaching mathematics and computers, I was eager to begin the next phase of my life… avoiding winter weather, teaching bridge and traveling. My husband Barry and I took courses to become bridge teachers and began to teach on cruise ships, most frequently for Audrey Grant. Being able to introduce new players to the game of bridge and to foster in them an enjoyment of the game has been my source of enjoyment for several decades, and has been both rewarding and enriching for me in my retirement. I look forward to meeting new bridge friends at the table and during my bridge classes! Paul received his ACBL teaching accreditation from Audrey Grant 15 years ago with the main purpose to teach and promote bridge during the winter months at Seven Lakes, an over 55 community of 1150 units in Ft. Myers Florida. He has taken two additional workshops with Ms Grant in the last three years. Paul and his wife Judy were fortunate to have the opportunity to teach and direct on cruise ships and over the last five years have over 200 days at sea including a 65 day cruise around South America and Antartica and a 33 day cruise of the South Pacific. Both Paul and Judy are Bronze Life Masters. Any teaching that Paul does at the London Bridge Centre is for the sole purpose of supporting the club and its future success. I was raised in the far north, with no TV reception, long winters, and a mother who kept me busy with all kinds of card games. We were a card playing family! I learned the basics of bridge while doing my post secondary education. I played a fair bit while in school, but once I was married with children, I dabbled at the game. Once my children were a little more independent I played a lot of social bridge. My husband was transferred every 3 years, so we moved around Canada a lot. Bridge was my way of meeting new friends. Many years later, a friend suggested duplicate bridge. I fell....hook, line and sinker. It is a game I love to play. A year and a half ago, I received my ACBL teaching credentials. I was a teacher in my "other" life, and being able to teach others bridge is as important to me as playing the game. I joined the London Bridge Centre at its inception. Through the club I have met many people who have become great friends with which I have enjoyed many good times. I am grateful to be part of this group.